As educators, it can be disheartening when we try to reach out to parents, but don’t get much–if any–response back from them. In fact, at some point we may even think they don’t care to talk to us. 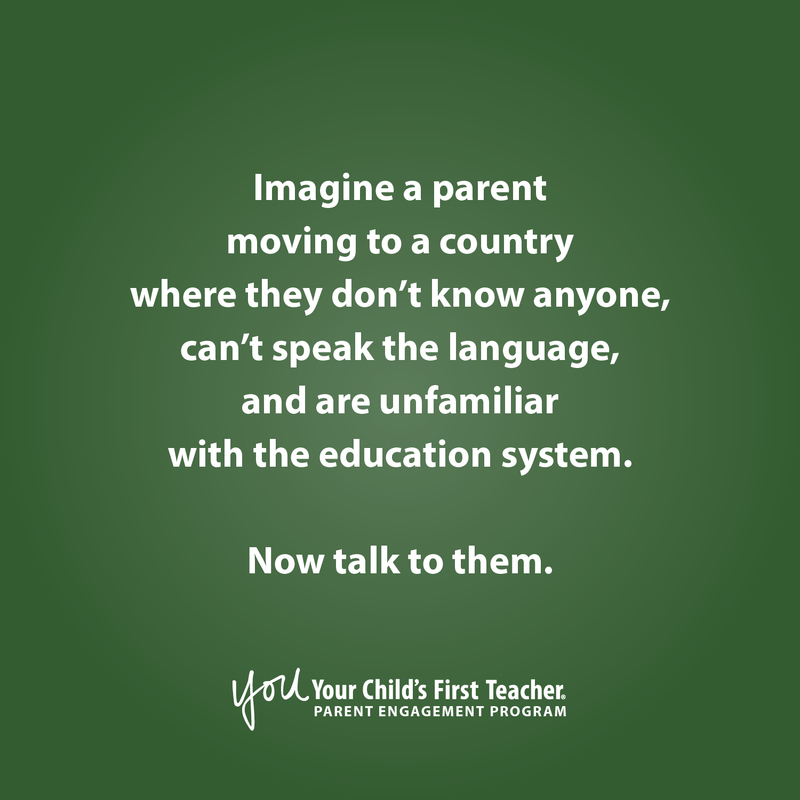 Spend one minute thinking about the possibility that the parent may have come from another country and is facing major obstacles in order to be a fully engaged parent in the United States. Think about how would feel if you made that same type of life change. Now talk to them. See how your communication approach changes. Find out what resources are available in your school, district, and community to help you reach that parent and establish a more meaningful and effective partnership. At YOU: Your Child’s First Teacher, we understand that teachers can be working with students from very diverse backgrounds and experiences. These are the kinds of conversations and strategies we have with educators in our YOU Program training workshops. We know that effective parent engagement leads to student achievement and we want to work with your school and district to show you how. If you found this topic helpful, please share it on social media with the hashtag #NowTalkToThem. It might help other educators, too.